One of the oldest towns on Scenic Highway 30A, Seagrove Beach, has been captivating beachgoers since the 1940s. Strolling the streets on Seagrove, you can see remnants of its heritage, with a few cinder-block cottages speckled next to elegant beach homes. This charming beach community remains true to its roots, and although it is modern and upscale, it still retains its 1940s charm. In between Seaside and Deer Lake State Park, Seagrove Beach is right in the heart of 30A. Within a few miles, you can end up in the towns of Seaside, WaterColor, and Grayton Beach, a short distance for a quick bike ride to explore the other communities. However, Seagrove does not lack in excitement either, providing some of the best restaurants 30A has and locally owned boutiques for all to enjoy. Seagrove Beach is one of the most diversified towns on 30A when it comes to real estate pricing. For a single-family home in this area, you can look at paying anywhere from $300,000 up to $12 million, depending on the location and view. 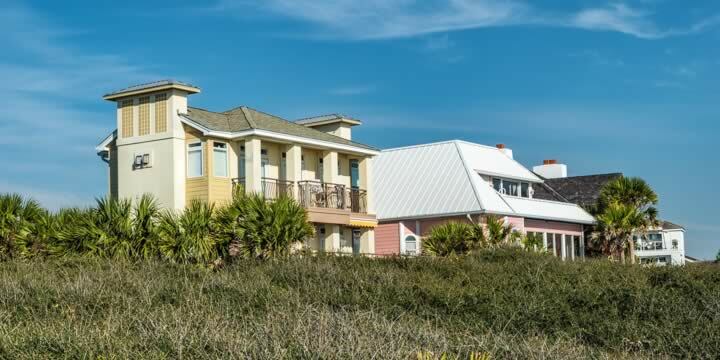 Some of the most elaborate homes here are beachfront properties and are not in a subdivision, yet line Highway 30A and overlook the turquoise waters of the Gulf. 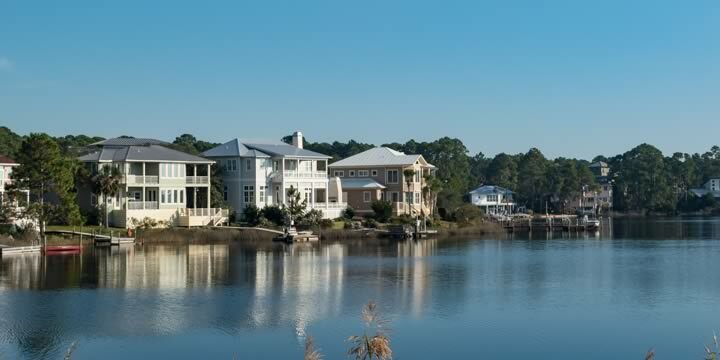 However, if you are looking for a neighborhood, Seagrove Village has homes for $2,000,000 to $3,000,000 and is located only a few blocks from the water. If you have a budget to maintain yet have your heart set on Seagrove, then look at the subdivision of 30A Townhomes at Seagrove. These townhomes are three or four bedrooms, newly constructed, have garages, and a community pool. A find like this in the $300,000s is beyond rare, making this a superb choice for a first-time homeowner or as a second home. If you desire a single-family house, the subdivisions of the Bungalows at Seagrove and Gulf Shore Manor are close to all Seagrove has to offer, while not breaking the bank. Are you interested in owning a condominium? Seagrove has some excellent choices. Thirty-One on 30A is a newly constructed luxury condo complex that comes complete with your private elevator (certain units), beachfront access, resort-style pool, golf carts, and many other perks. 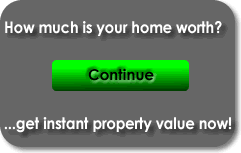 A condominium or villa at Thirty-One on 30A can range from $2,000,000 to $5,000,000. However, if you are looking for a more budget-friendly option, the condominiums at Rollin Tide Villas can list as low as $184,000. A price this low is unheard of for a property on 30A and so close to the beach, making it a steal. When it comes to choices for restaurants, Seagrove Beach is the cream of the crop. A favorite restaurant, the Surfing Deer, offers fine dining and specializes in mouth-watering seafood plates. Also, a popular lunch destination, they boast outdoor seating, perfect for those breezy beach days while smelling the ocean swells. Adjacent to Surfing Deer, you will find the not as luxurious, but as delicious, Seagrove Village Market Cafe. This casual Seagrove landmark has been in the same location since it opened in 1949 and is featured in countless publications such as Travel & Leisure, Southern Living, and Coastal Living, just to name a few. Their food is just that good. A few of the other acclaimed restaurants that locals swear by are 723 Whiskey Bravo, Cafe Thirty-A, and Cowgirl Kitchen. If you are eager to adventure off the beach, the stores located at The Shops at Seagrove sell cute, local, and "artsy" products. The stores at Seagrove showcase the creative nature that inhabits the 30A lifestyle. If nature is more your thing, Deer Lake State Park has hiking trails, picnic pavilions, bird watching, and fishing. It is also a gorgeous park, perfect for catching a day of tranquility with your family. If you are interested in owning a home in Seagrove Beach, call us at Emerald Coast Realty, and a licensed realtor would be happy to assist you.